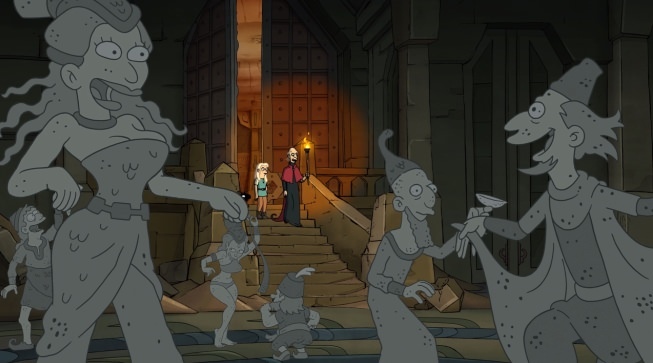 Disenchantment are from the same creator of the simpsons/futurama but in netflix. start 20:45, people turn into stone, ladys and men. PD. very long time i don't post something xD cheers! Can anyone post some quick screenshots of the best parts? Thanks! I haven't seen episodes 9 or 10 yet. la madre de la protagonista esta petrificada! !